This curtain has a true beach feel. The multitude of colors in the beach signs will match almost any beach decor. The quality is good. I would recommend this product and all the matching accessories. 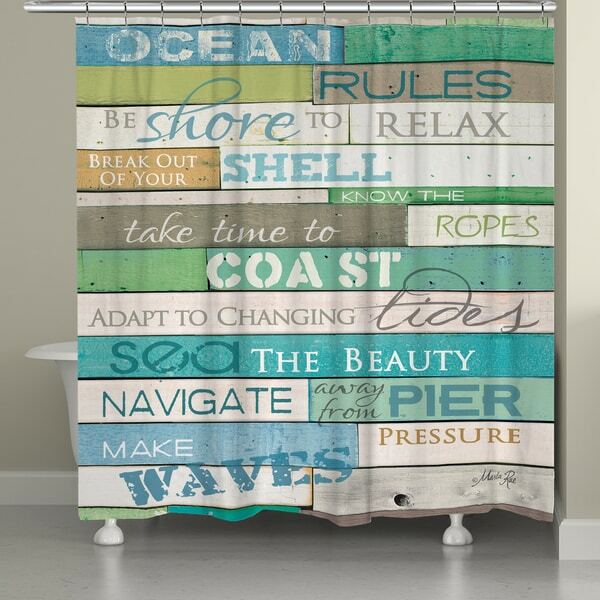 Give your bathroom decor a beach theme with this polyester shower curtain proclaiming the 'Rules of the Ocean.' Featuring button holes for easy insertion of curtain hooks, this shower curtain offers a blue, green, white, and taupe color scheme that complements coastal designs.